In April, a new global initiative called Mission 2020 was launched by Christiana Figueres, the former UN climate chief who oversaw the signing of the Paris Agreement on climate change in late 2015. 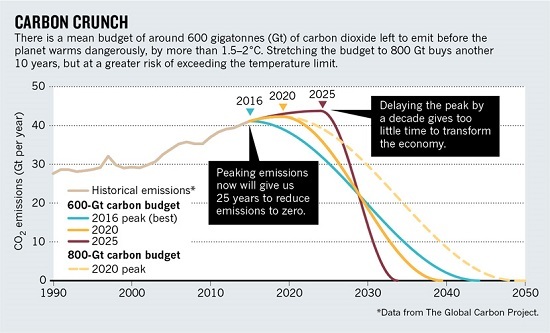 The aim of Mission 2020 is to bring “new urgency” to the “global climate conversation” with a call to begin “rapidly declining” global greenhouse gas emissions by 2020. Today, in a co-authored commentary published in the journal Nature, Figueres sets out further details about Mission 2020’s six central calls to action. The commentary is endorsed by 61 signatories, which include climate scientists as well as a range of NGO, religious, political and business leaders.